This concrete plinth supports the metal exhaust chimney. There’s a passageway inside the plinth which leads to the interior of the building. A large metal mechanism inside the passageway allows the exhaust chimney to be isolated from the Parsons exhauster. 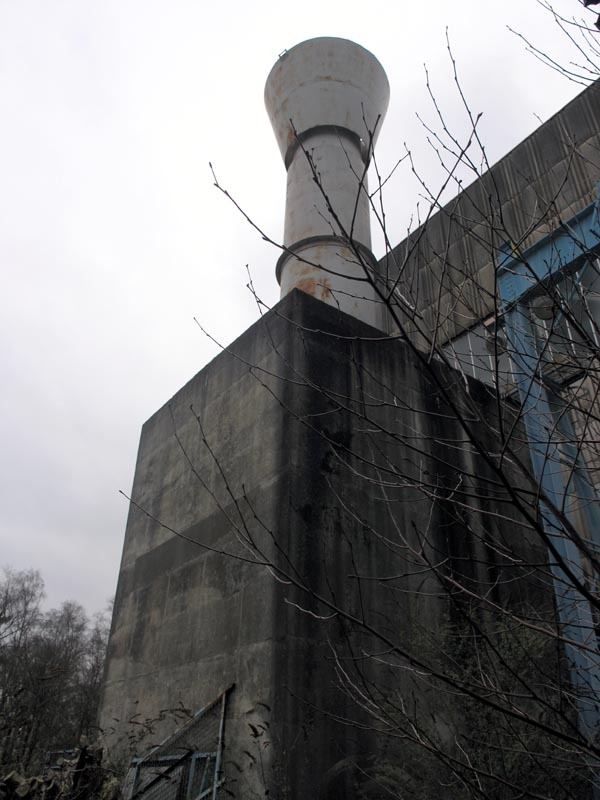 The concrete exhaust of Number 10 Exhauster.